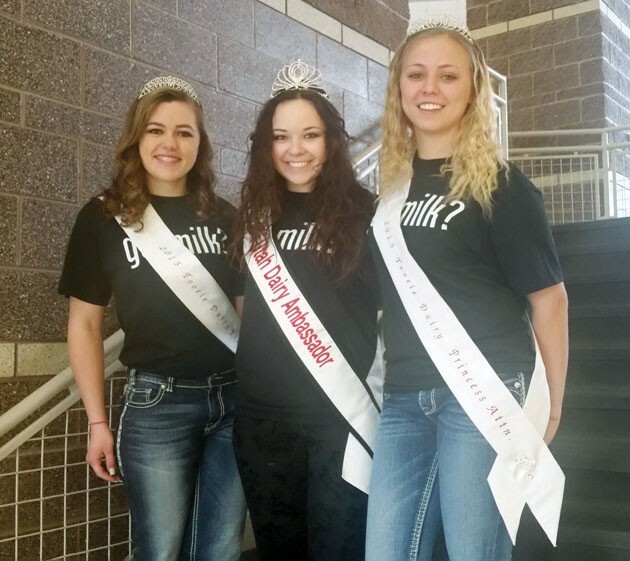 The royalty from the 2015 Tooele County Dairy Princess/Ambassador competition appeared at a recent event at Tooele High. Pictured, from left to right, are co-attendant Kelsey Walters, princess/Utah State Ambassador Sadie Bird and co-attendant Alle McReavy. McReavy, Bird and Walters participate in a parade last summer. 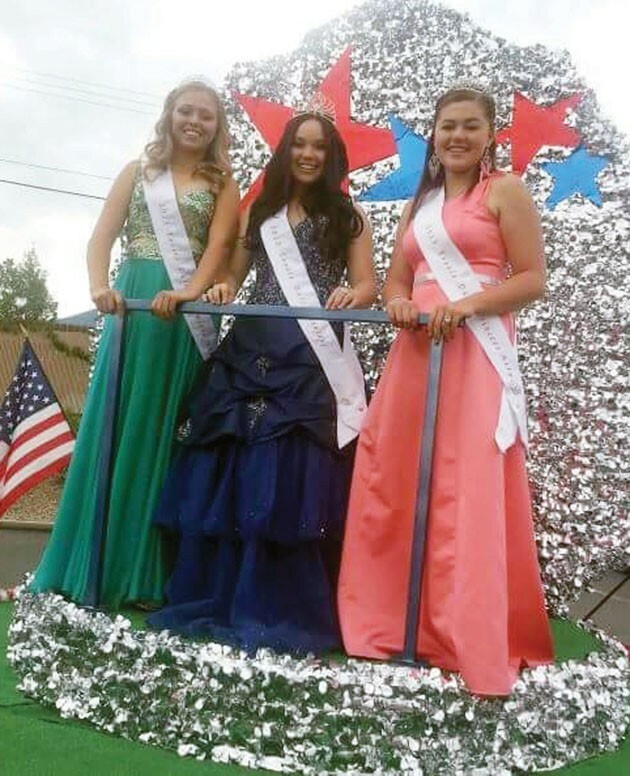 The annual Tooele County Dairy Princess/Ambassador competition is set for May 12. Young women who are between their junior year in high school and age 24 are eligible to compete. The royalty will serve Tooele County and the Dairy Commission of Utah/Nevada sharing the important message about dairy. They will travel to elementary schools to teach children and will be involved in many community service events throughout the year. The royalty will be selected based on a private personal interview, dairy knowledge, personal appearance/physical fitness, a key message (platform) presentation and overall score. The princess will receive a $1,000 scholarship and the two co-attendants will receive $500 each. The deadline for applications is May 7. For further information and to obtain an application and packet, please contact director Cheryl Adams at (435) 830-6989 or (435) 882-3544.